Another of my comfort foods. 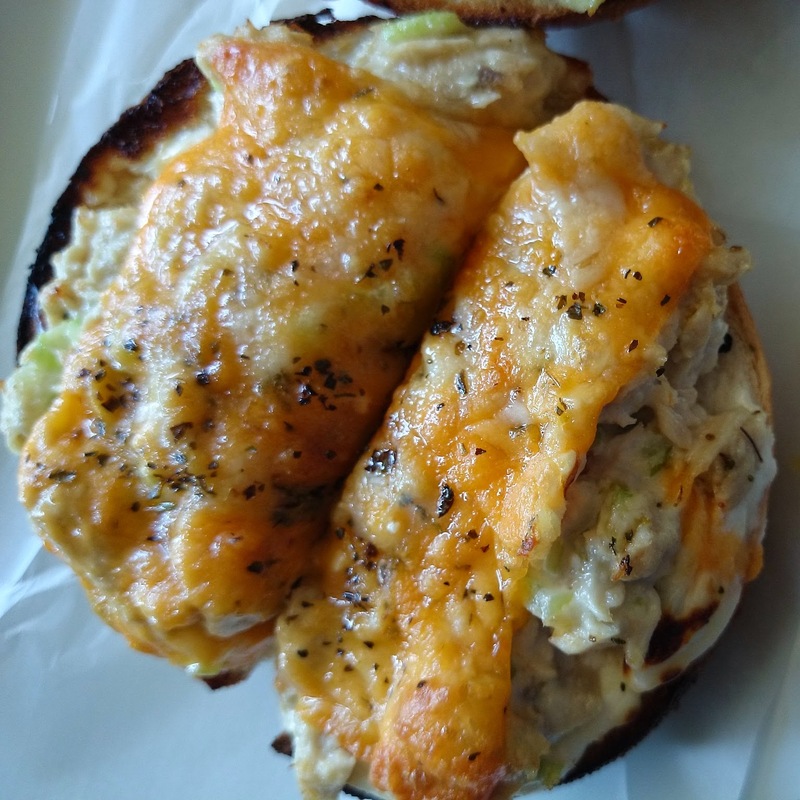 I give you the tuna melt (on a bagel) at Yum Yum Donuts. Anyways, this melt is so good. Its creamy, cheesy, and on a bagel. Now, you may be thinking the hole in the bagel and the tuna fallout through, but surprisingly I’ve had this sandwich several times and was not messy at all. One of the parts of this sandwich that I feel sets it apart from other tuna melts I’ve had is the cream cheese and the avocado that they add. That cream cheese gives it a really nice smooth flavor and I think that is where the creaminess comes from. As for the avocado, it goes well with any sandwich. If you’re on the West Coast and happen to drive by a Yum Yum donut shop, give it a try! Plus it’s a donut shop. Everyone loves donuts!